SECURITY AND PRIVACY. AAMCO respects and is committed to protecting your privacy. That is why we have set forth our security and privacy practices. AAMCO will not sell, distribute or transfer any of your personally identifiable information that you provide to us, except as described in this Policy. You, however, are ultimately responsible for protecting your information from disclosure to third parties. Use of information. Information collected by this site is used for these primary purposes. To improve this Web Site by determining which of our areas, features, products and services are most popular. To personalize your experience at AAMCO's Web Site by analyzing what areas of the Web Site are of interest to you. To occasionally notify you about changes to the Web Site, new AAMCO discounts, products, promotions, services, sweepstakes and other activities that we think you might find valuable or useful. To use or participate in many features of the AAMCO Web Site, we may require that you provide us with certain specific information, such as your name, mailing address, telephone number, e-mail address and/or other information specific to you. You will have no obligation to provide any of this information, but if you decline to do so you may be unable to use or participate in those features. To respond to your inquiries about customer service or franchise opportunities. Disclosure of Collected Information. 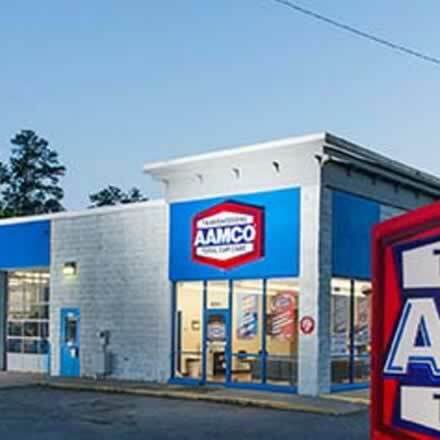 AAMCO may disclose information as needed to independently owned and operated AAMCO centers in order to respond to your inquiries about customer service. AAMCO may also disclose information when required by law; to protect and defend the rights or property of AAMCO or a user of the AAMCO Web Site; to identify persons who may be violating the law; and/or to cooperate with investigations of allegedly unlawful activities. The AAMCO Web Site is not intended or expected to attract children. AAMCO will not knowingly or intentionally collect personally identifiable information about a child. We comply with the Children's Online Privacy Protection Act. Privacy Outside the AAMCO Web Site. This Web Site may contain various links to other web sites. We are not and cannot be responsible for the privacy practices or the content of any of those Web Sites and advertisements of third parties. INTELLECTUAL PROPERTY. All AAMCO Web Site design, text, graphics and the selection and arrangement thereof are the copyrighted works of AAMCO National Creative Committee or AAMCO Transmissions, Inc. Copyright© 2001. All Rights Reserved. The AAMCO Marks are trademarks or service marks of AAMCO. SITE USE AND CONTENT. You may view, copy or print pages from this Web Site solely for personal, non-commercial purposes. 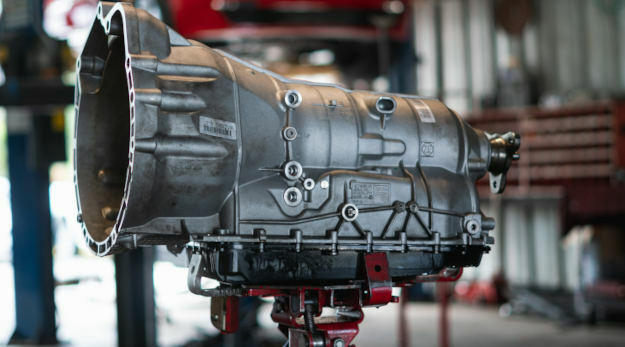 You may not otherwise use, modify, copy, print, display, reproduce, distribute or publish any information from this Web Site without the express, prior, written consent of AAMCO. WARRANTIES AND LIMITATIONS OF LIABILITY. Use of this Web Site is at your sole risk and is subject to the terms of this Policy. This Web Site is provided "as is" and "as available" for your use, without warranties of any kind. We make no representations or warranties that this Web Site is or will remain uninterrupted or error-free, that defects will be corrected or that the Web Pages on this Web Site or the servers used in connection with this Web Site are or will remain free from any viruses, worms, time bombs, drop dead devices, Trojan horses or other harmful components. AAMCO's entire liability and your exclusive remedy with respect to the use of this Web Site shall be your right to discontinue your use of this Web Site. In no event will AAMCO be liable for any direct, indirect, incidental, special, exemplary, punitive or consequential damages arising from your use of this Web Site or for any other claim related in any way to your use of this Web Site. Because some states or jurisdictions do not allow the exclusion or limitation of liability for consequential or incidental damages, in such states or jurisdictions, AAMCO's liability will be limited to the greatest extent permitted by law. AAMCO does not endorse, warrant or guarantee any product or any service offered by or through this Web Site.